My husband came home from work the other day bright-eyed and glowing. This could only mean one thing: he had exciting news to share with me! And exciting news it was! After discussing it together for months, my husband and I finally decided to pull the trigger on purchasing an investment property in Costa Rica and now the deal was officially final! We own property in Costa Rica and we can’t wait to head out there and explore our new space. 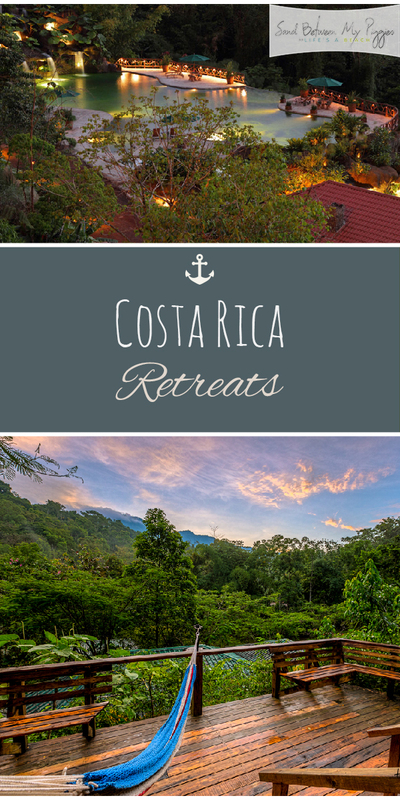 Are you dreaming of your own Costa Rica retreat? Don’t worry, you don’t have to invest in property to experience it, book your stay at one of these incredible Costa Rica hotels and resorts. 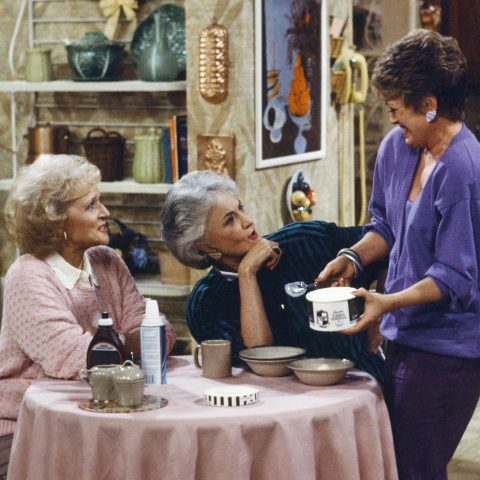 You’ll have the best stay ever! It looks like it’s part of a dream world, but I promise a Costa Rica retreat this gorgeous actually exists! If staying in a real tree house sounds like an incredible experience to you (and who wouldn’t it?) head to the Finca Bellavista in the “South Pacific region.” The location is so vague because it’s actually home to an existing treehouse community. If you stay here, you’ll essentially be one of the people for a few days. Incredible! The experience at the Peace Lodge in Costa Rica is exactly what it sounds like: peaceful. Nestled amongst waterfalls and dense jungle are perfect for all of those looking for a private vacation. Each guest has pretty much everything they need (including a jacuzzi) on suite, so it’s just the thing for an intimate getaway. The Peace Lodge is centrally located, too, just an hour outside of San Jose. Get out of the jungle and get onto the beach! Reside at Kura Villas, an adults-only resort just off the southern coast of Costa Rica. You’ll be greeted by stunning beaches, private pools, and totally modernized (but not too modern) resort fixtures. Be sure to lounge in a hammock or two while on the property and indulge in a spa treatment. Now, wait for just a second…if you thought the last place had terrific beach views, you’re in for a special surprise: there’s even better beach access at Arenas Del Mar! 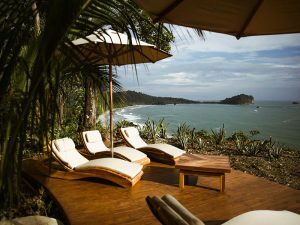 Located in Manuel Antonio, this resort boasts the only beach-front views in the whole city. Not only are the views amazing, but guest can actually view sloths in their natural habitats right outside their windows. Kristen Bell would definitely approve. 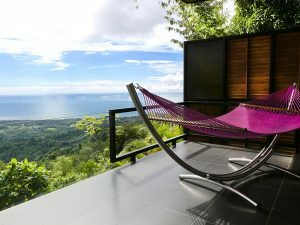 For a cheaper experience, stay clear of the big resorts and opt for a rental through Airbnb during your time in Costa Rica. These homes are often located in prime locations, for stellar prices. It’s surprisingly affordable to rent an entire home. I’ve stayed in Airbnbs in France, London, and Ireland and I’ve had such unique experiences in all three. I highly recommend it! Looking for something more cultural? Try Couchsurfer, an app that allows you to meet and stay with locals all over the world. It’s a terrific way to meet friends and develop countries in every country you visit. Definitely give it a try!